Jon is on the run. He has betrayed Oslo’s biggest crime lord: The Fisherman. Fleeing to an isolated corner of Norway, to a mountain town so far north that the sun never sets, Jon hopes to find sanctuary amongst a local religious sect. Hiding out in a shepherd’s cabin in the wilderness, all that stands between him and his fate are Lea, a bereaved mother; and her young son, Knut. But while Lea provides him with a rifle and Knut brings essential supplies, the midnight sun is slowly driving Jon to insanity. Would you try another book from Jo Nesbo and/or Kim Gordon? 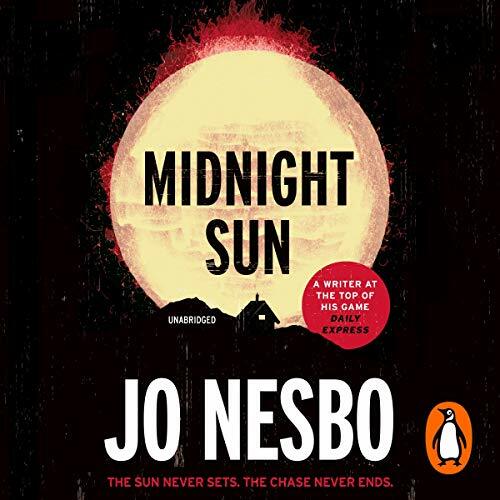 Would you ever listen to anything by Jo Nesbo again? yes. all of his other books have been wonderful. Who would you have cast as narrator instead of Kim Gordon? almost anyone. having a man vs a woman read for a central male character would help I think. i will return this book.